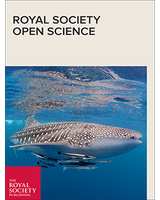 Citation is not yet available for this publication from Royal Society Open Science. It will become available shortly after the publication appears. In order to study the heat transfer of the falling film evaporator with phase change on both sides, we built the mathematical model and physical model where the liquid film inside the tube is laminar and turbulent in this paper. The film thickness of the condensate at different axial positions, total condensate volume and the velocity distribution, temperature distribution of condensate outside the tube can be obtained by calculating the proposed model. Meanwhile, the liquid film thickness, velocity distribution and temperature distribution inside the tube were obtained by numerical simulation by considering the influence of liquid film with different compositions on the heat transfer during fluid flow. With ethanol-water as the system, the overall heat transfer coefficient and heat transfer quantity of the falling film evaporator is obtained by the calculation of the model. The accuracy of the proposed model has been verified by experiments. The model and the calculation of heat transfer proposed in this paper have great significance for the basic data and theoretical guidance of the heat transfer performance prediction and operation optimization of the evaporator.